Boilies are specialised fishing baits that consist of nutritional ingredients. In this article, we will explain the basics of boilie making and give you a kick-start with a simplified recipe. There is a lot more to boilie making that simply meets the eye, and as we progress in this series, we’ll cover it all in more detail. But first, you need to know the basics of making boilies. 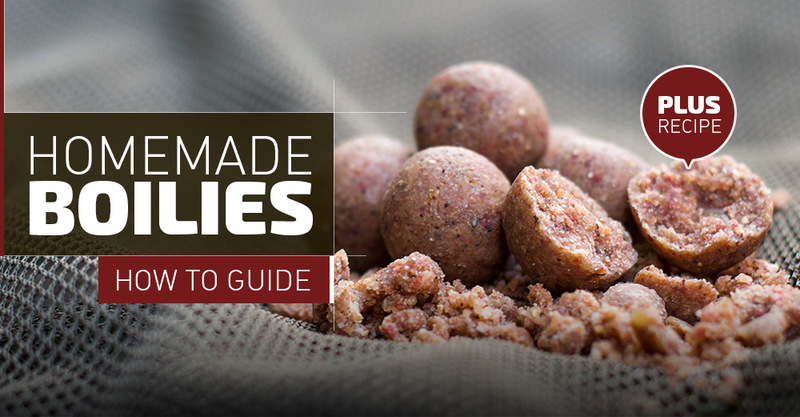 When making boilies, your mix will consist of two major parts: dry and wet ingredients. The two combined into a paste will form the boilie after boiling, hence the name. The dry ingredients are about 80 percent of the boilie and consists mainly of flours such as: fish meal, krill meal, milk whey, blood meal (animal type), soy, semolina, wheat, bird food, sorghum, chickpea flour, etc. The list can be endless, and it is only limited by the imagination of the boilie maker. The wet ingredients consist mostly of binding agents and makes up the remaining 20 percent of the boilie. The best and most accessible binding agents available are eggs, as they are high in vitamins and proteins. Other wet ingredients are oils (animal and vegetal), essential oils, liquid foods, amino acids and vitamin liquids. Also, most of the attractants and colourants come in liquid form, if they are used. There are a few tools you will need to make the boilie rolling process a lot easier. Sausage gun: There are different tools for making the sausages, from state of the art automatic machinery, air compressor fed guns, manual caulking guns, and the old trusty manual-mincing machine. All these tools have to be fitted with a funnel type nozzle that will match the internal diameter of the rolling table. If the diameter doesn’t match, you could end up with oval or barrel-shaped boilies. Once the diameter is correct, you will be able to roll perfectly round-shaped boilies that everyone’s familiar with. Rolling tables: These tables come in different diameters ranging from 8mm to 24mm, depending on the boilie size you are after. I prefer 18mm as this covers most of my needs, and I can throw the boilies quite far with a throwing stick. We recommend mixing the dry ingredients thoroughly to obtain a homogenous mix. This will be the so-called 'base mix', a term that is widely used in boilie making. Once you have obtained the base mix you desire, the wet ingredients must be added to create the dough. The wet ingredients must be added in a specific ratio to the dry ingredients. If you add too much, the mix can become gloopy and very difficult to work with or roll; if you add too little it will be dry, difficult to roll and your dough will split or crack. The wet ingredients must also be combined and mixed separately from the dry ingredients. Then, the dry base mix can be added to the wet ingredients until the dough doesn’t stick to your hands or fingers. If you are using liquid ingredients manufactured specifically for boilies, you will usually find the inclusion ratios on the product’s label. If you are experimenting with other store bought liquids, do not go over 20ml per 1kg dry mix for any type of liquid ingredient, except the eggs, as they can vary in size. An average of ten eggs for a 1kg base mix is a good indicator. This basic recipe is an easy starting point if you’re eager to get into the swing of things and want to experiment with the boilie making process. Few anglers will share his or her secrets or special edge, which is why it is up to you to find information and evolve a recipe of your own. Through trial and error, you will find what works for you and the waters you target. That is the fun part! Mix the dry ingredients: Measure your ingredients carefully and combine in a mixing bowl. Precision is key. Mix the wet ingredients: Break the eggs into a separate large bowl and whisk, or use a mixer to get a homogenous liquid. Use a large syringe to measure the amino liquid and to track how much you are adding. Add the rest of the liquid ingredients, making sure you add the linseed oil last. Mix thoroughly to combine. Tips: Sweetener comes in many shapes and forms (powder, liquid, capsules); whatever your choice, make sure that it gets dissolved in the wet ingredients before adding the dry ingredients. Oils are added last because they separate from the water or other liquids. Adding the base mix to the wet ingredients slowly, while stirring with a large spoon, will help to ensure that the oils are evenly spread into the whole base mix. 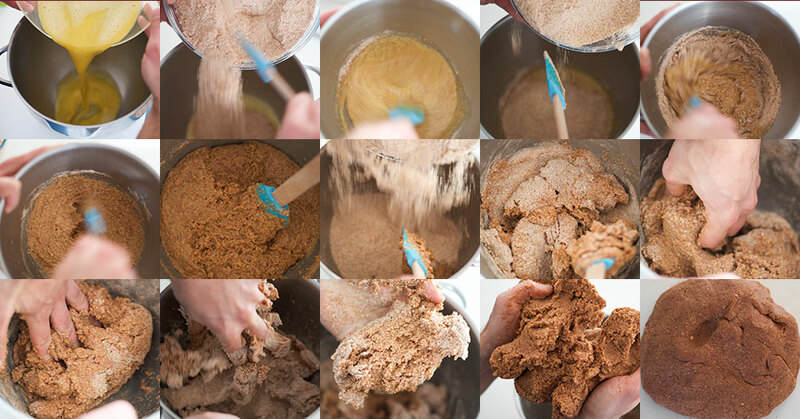 Forming the dough: Add the base mix slowly to the liquid, and mix with a wooden spoon to prevent clumps. As the mixture thickens, switch over to kneading with your hands. Your mix is ready when it doesn’t stick to your hands and you can roll it between your palms without it cracking. Roll immediately while the mix is still soft. Tip: Cover the boilie dough with cling wrap to prevent it from drying if you can’t start the rolling process immediately. Rolling the Boilies: I use a boilie gun fitted with an 18mm nozzle, and an 18mm boilie table to get perfectly round boilies. Simply shape a few pieces of dough to fit into the tube of the boilie gun. Fit the nozzle and attachments, and squeeze a few sausages. Repeat the process until you have used up all your dough. The rolling process is hard work, and the step that puts most people off after their first attempt in boilie making. Roll your boilies using your rolling table. You still have to be quick during these steps to prevent your mixture from drying out. Tip: Make sure your table is clean and on an even, steady surface. Secure it with a non-slip mat to prevent it from sliding around. With oily mixes, you will have to clean the table more often as the mix tends to slip or stick when using the table. For starters, roll one sausage at a time until you get the feeling and the motions. As you gain more experience, you will learn how to roll multiple sausages – increasing the speed of the entire process. Tip: If your table isn’t properly secure, you might end up with pillow or barrel-shaped boilies. However, if you aren't feeding with a catapult or throwing stick, they don't have to be perfectly round. So depending on your feeding application, you could simply use the barrel shaped boilies as is. Boiling: Times are important. You don’t want to destroy all the goodness and nutrients, but you also want the boilie to be firm. I boil my 18mm boilies in small batches for 90 seconds. Always keep the water boiling consistently, if the water stops boiling then add a few extra seconds until boiling resumes. Tip: Be careful when handling your boilies, they are soft and can get squashed easily. You can use a strainer to easily remove the boilies from the hot, boiling water to your drying tray. Drying: Leave the boilies to dry for one or two days on drying trays, and freeze them to seal in the freshness and to preserve the bait, as we do not use preservatives in the mix. Air-dried boilies are also good if you are going on longer trips. Simply re-activating the boilies with a glug mixture to regain the attraction factor. Tip: If you don’t have a drying tray, you can also use old towels, mushroom trays or crates, etc. I hope this information will assist you greatly in your boilie making experience. The best prize, after busting eggs and flours in the kitchen, is catching that awesome carp on your own boilies. Until next time, catch a big one. Send any questions to info@carpfever.co.za and let us know how your mix turned out!